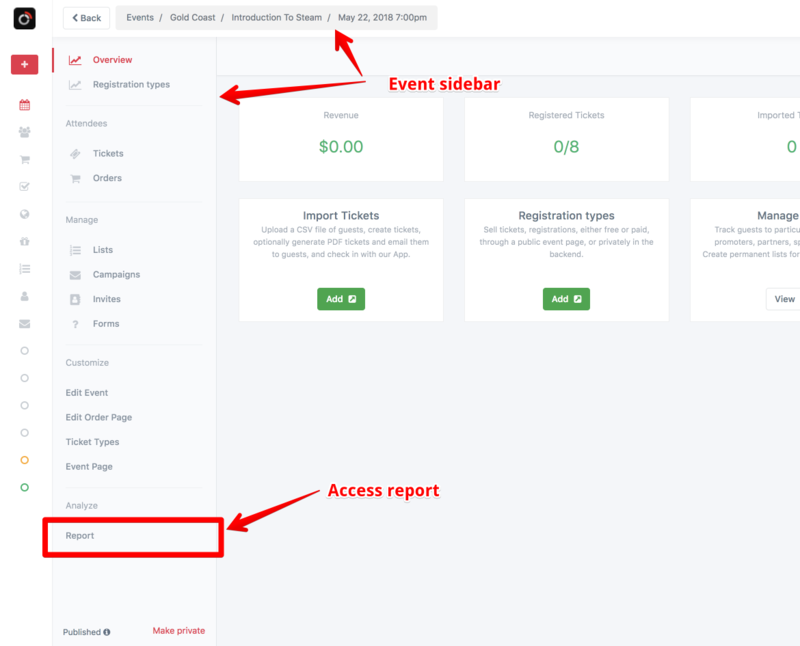 The Report button is accessible from either Events > Past > Report button (for the event in interest), or from the sidebar within the event. From the report page, you will see summaries of various useful bits of data. You can also export a check in list from the buttons in the upper right. 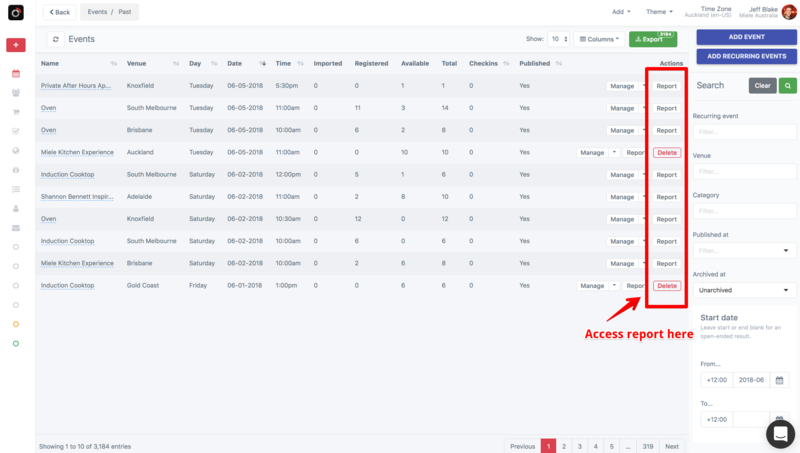 For more granular control of the exports, go back to the Tickets tab, filter the view accordingly (e.g. 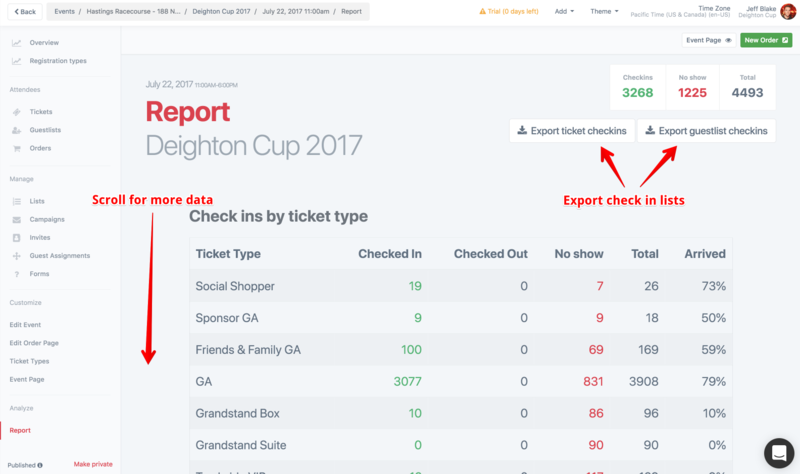 Status = Redeemed, Ticket Type = GA), and export from there.